The long-term goal of Canadian Wollastonite is to produce economic, eco-friendly and multi-use mineral products while improving the local ecology in partnership with the public. Canadian Wollastonite was incorporated in 2001 as 2005948 Ontario Limited, operating under the trade name Canadian Wollastonite. Canadian Wollastonite owns and is now mining a world class industrial minerals resource called the Saint Lawrence Wollastonite Deposit (SLWD). The deposit lands are located primarily in the north-east district of the City of Kingston, Ontario and partly in the Township of Leeds and the Thousand Islands. On December 10, 2012 Canadian Wollastonite received approval for its mining operations from the Ontario Ministry of Northern Development and Mines, having received all requisite federal and provincial environmental and operating approvals. In doing so Canadian Wollastonite has become the first new industrial minerals mine to be approved in Southern Ontario in 35 years. The SLWD contains +30M metric tonnes of economic minerals, proven by drilling and other exploration and development activities. 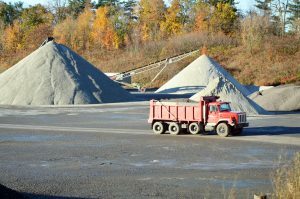 The Province of Ontario has designated the SLWD as a “Provincially Significant” mineral resource, meaning it is officially recognized by the government as economically beneficial to the province. Canadian Wollastonite’s deposit is the only wollastonite mine in Canada and the only commercial diopside source in North America. CW is heavily involved in research on the properties and applications of wollastonite and wollastonite-derived products and is currently involved in more than a dozen R&D projects at several universities. Notable ongoing research on uses for wollastonite includes; low-CO2 alternative for slag conditioning in steel manufacturing, low CO2 and energy saving alternative ingredient in cement production, and naturally-occurring product for phosphorus sequestration in bodies of water. See the “research” section of this website for more projects and information. CW takes the environmental impact of surface mining very seriously and has taken steps to improve the local ecology from the beginning. 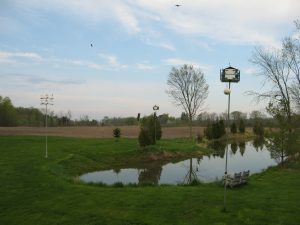 More than 15 000 trees have been planted on the property, and several large wetlands have been built with a marked increase in purple martin, duck, and bat populations. Less than 15% of CW’s 220 hectares of land will be disturbed by mining activities on the property, allowing plenty of space for future environmentally-beneficial projects.